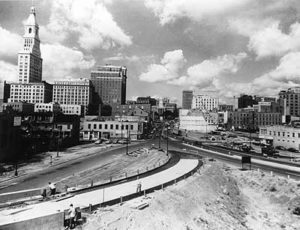 In the late 1950s an alliance of legislators, urban planners and corporate leaders lobbied successfully for massive amounts of state and federal aid to combat “the crisis of the cities.” Across the state, vibrant ethnic neighborhoods like Hartford‘s Front Street were demolished to make way for massive urban renewal projects. Federal anti-poverty programs waned as the costs of the Vietnam War escalated. Connecticut’s hard-pressed cities broke out in rioting in 1967 and again in 1968 following the assassination of Dr. Martin Luther King, Jr. The legislature responded with the Community Development Act, which created a new agency to provide redevelopment grants, housing subsidies, and other assistance to urban areas. 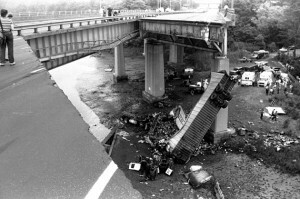 State studies following the collapse of the Mianus River Bridge in 1983 revealed widespread weaknesses in Connecticut’s highway infrastructure. The legislature responded by appropriating over $10 billion for a massive ten-year repair program. 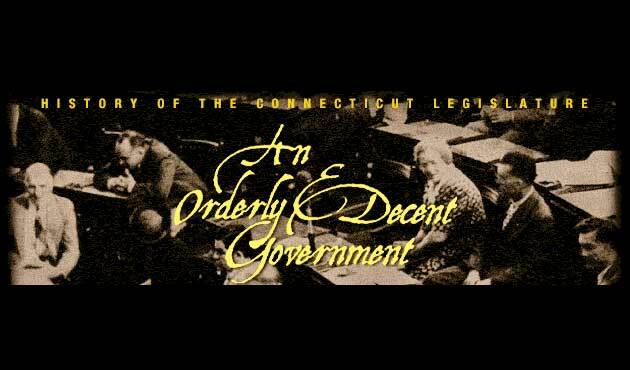 Federal recognition of the Mashantucket Pequots as an independent tribal nation in 1984 soon changed the economy and appearance of southeastern Connecticut and posed hard questions to the legislature about jurisdiction and taxation. A 1992 revenue-sharing agreement with the Pequots boosted state revenues. Connecticut’s share of slot machine revenues between 1992 and 1999 was over $1 billion. o endorsed a Constitutional amendment capping state expenditure, which was overwhelmingly approved by the voters. In 1996, decades of deferred maintenance and an alarming migration of Connecticut students out-of-state prompted the legislature to help the University of Connecticut regain national prominence with almost $1 billion in assistance. 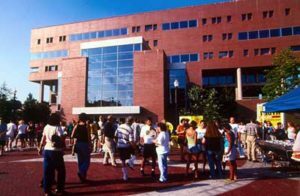 A similar legislative initiative in 1998 committed over $600 million to aid the Connecticut State University and its community and technical colleges. Hartford Publishes the First Literary Work by an African American – Who Knew?